Shahrdokht Shahrdar, daughter of composer and pianist Moshir Homayoun Shahrdar, named "most chic" in Germany. Traghi magazine, 10 Farvardin 1332 (March 29, 1953). 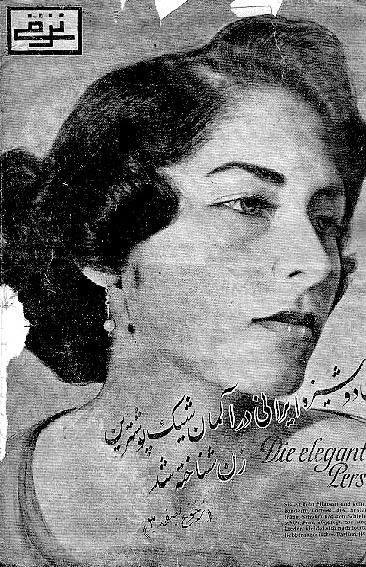 The German journalist who had photographed my mother in the 50's and written about her in his newspaper (before it was translated and published by Taraghi) had been attracted by her opera-singing talent which was unusual for an Iranian woman back then.